We like and use lots of amaros here at Booze Nerds. They can add a lot of complexity and flavor to a cocktail as well as some sweetness, so are very useful to have in your bar. 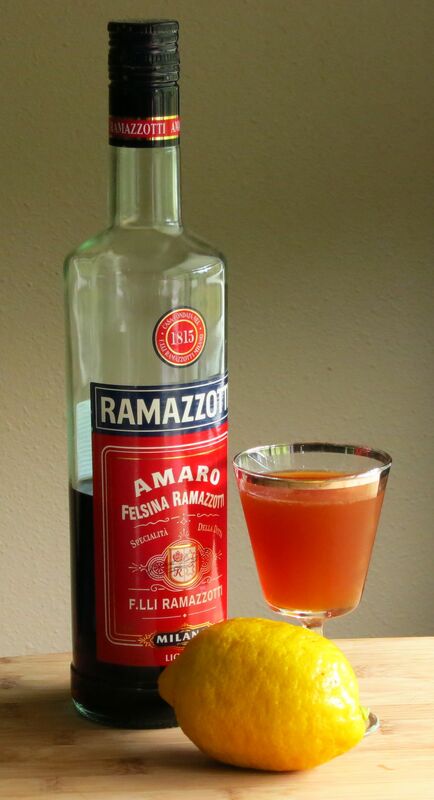 There are many types available from all over the world (we are thinking of amaros broadly as bittersweet liqueurs flavored by herbs and spices as opposed to strictly those of Italian origin) but the amount of info available on them varies quite a bit. So we decided that we would feature some of the ones we use pretty regularly and think of as bar staples. 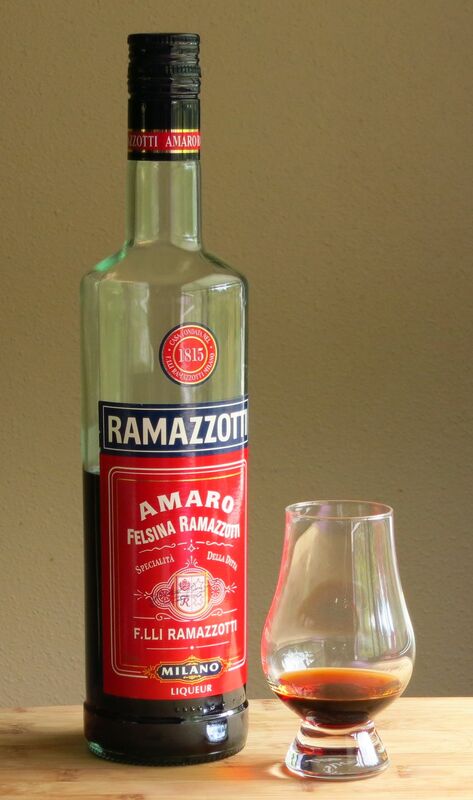 This week we’re looking at Ramazzotti amaro. Nose: Root beer, candied grapefruit peel, bitter root (similar to chicory), nutmeg. Palate: Very sweet intro (also quite bitter to Christa’s palate). Root beer and hard spices (cinnamon, cloves, nutmeg, allspice) at the mid-palate. Long bittersweet finish with orange peel and a toasty bitter flavor like chicory coffee. Shake all ingredients with ice. Strain into a glass. Enjoy. Stir all ingredients with ice. Strain into a glass. Enjoy! Palate: Chocolate at the start followed by dried fruit and vanilla. Cedar-y barrel notes, root beer, and spiciness on the mid-palate. Winey notes on the finish. Little bit of spice as part of the after taste. Nice kick of bitterness at the end. We hope you enjoyed this first foray into our investigation of amaros. We’ll explore the others in our cabinet bit by bit over time 🙂 If you have any suggestions for nexts, please let us know. In the meantime, cheers! 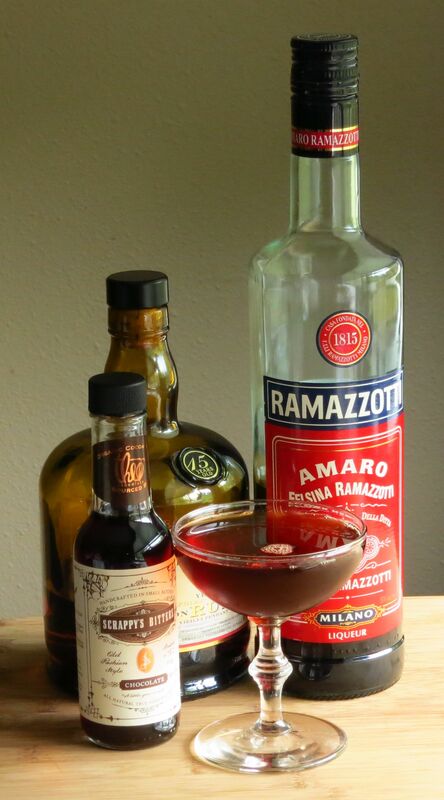 This entry was posted in aged rum, amaro, Booze Review, gin, maraschino, Tasting Notes and tagged Amaro, diner cocktail recipe, el dorado 15 yr demerara, howick hall cocktail recipe, Ramazzotti amaro tasting notes, scrappy's chocolate bitters. Bookmark the permalink.